Often advertised as the perfect solution to money woes, debt consolidation is something that most people have heard about on television or in magazines. While it’s true that a debt consolidation loan can help people manage their finances, it is a serious move and it should always be considered with care. Before you apply for this kind of credit, you need to be sure that it’s the right option for your circumstances. It isn’t suitable for everybody and you can only apply it to certain types of debt. The key to success then is identifying your needs, selecting a reputable provider, and coming up with a realistic, achievable payment plan. This guide to consolidation loans will help you decide if they are the right course of action. Consolidation loans are very simple. The debtor, who is struggling to pay off multiple lenders, agrees to borrow a sum which is large enough to pay all of these debts off at once. The benefit of this is that the individual debts get settled and there’s only a single monthly premium to pay. Instead of paying out several times a month (for credit cards, school, and other loans), they just pay the provider of the consolidation loan. The debt doesn’t disappear, but it does become much easier to manage. Although, in most cases, you can only combine similar types of debt. So, it may be that you have to consolidate two sets of loans (student and credit card). Either way, reducing the number of individual payments is a great way to shrink interest costs too. Which Debts Can Be Consolidated? The most common type of consolidated debt is unsecured credit. This means credit card bills, gas cards, in store credit lines, and some personal loans. Depending on where you live and your specific circumstances, you may be able to consolidate medical bills too. Student loans are consolidated less frequently, but many lenders do offer this option. Similarly, large amounts of unpaid income taxes can be rolled into a simple repayment plan. If this sounds like something you need, the advice is to consult with a tax professional first. The best strategy is to find a reputable local lender. You can talk with them on the phone or head into the office for a consultation. They will help you put the financing in place to settle each of the existing loans. Then, once they are closed, you’ll only be expected to pay back this lender. The repayment terms will depend on the size of the consolidation fund and your ability to pay it back. You must be honest about how much you can afford each month so that the terms are achievable. Are Debt Settlements the Same as Consolidation? This is a common misconception and it can cause damage to those in financial strife. Debt settlement procedures are not the same as a debt consolidation loan. The former is an agreement to write off a portion of the money owed. So, you pay back a smaller amount, but you take a credit hit in exchange for this. Consolidation loans do not damage your credit score because they pay back the total sum owed. If you stick to the agreed repayment plan, the arrangement won’t affect your financial status. The temptation to continue spending after a consolidation may be strong, however, this is a bad idea. Don’t forget that your debt hasn’t vanished. It has just been rolled into a single payment. 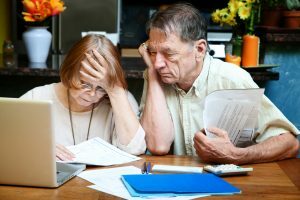 If you accrue more debt, you may not be able to keep up with the terms and this will eventually damage your financial standing. Focus on settling the consolidated sum in full, so you can stop drowning in debt and start living your best life.